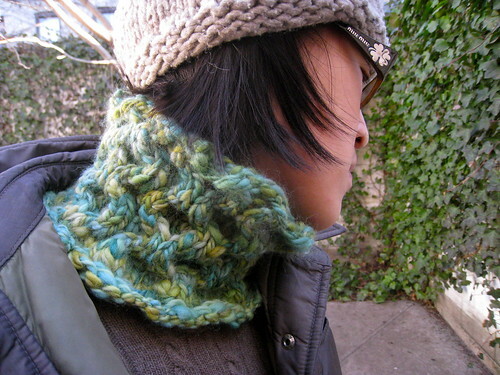 I actually ahd this on my needles a few weeks ago in Brown Sheep Burly Spun…. but I found the yarn to be to inelastic and it make the cables not very fun to make and I wanted it bigger in circumference and gauge, so I frogged it. Maybe next fall. i love these colors! and 5 hours you can’t beat that. it looks great! 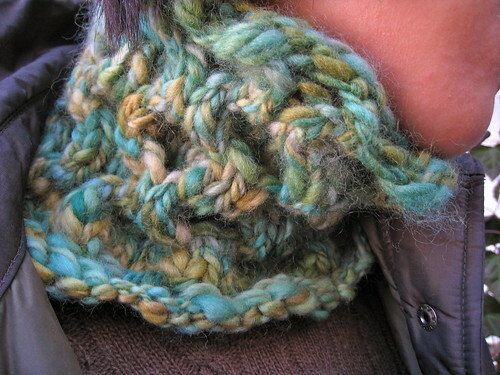 LOVE this chunky knit, and the weight variations in this yarn! Is it soft to wear?